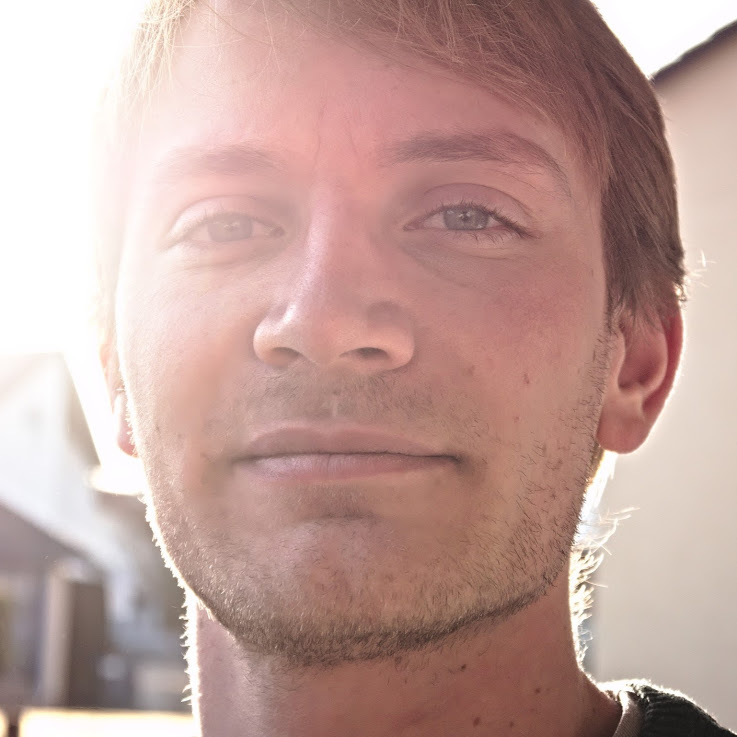 Can print flexible filament at least twice as fast as the typical hacked extruder. 70mm/s with 0.4mm nozzle and 0.2mm layer height. 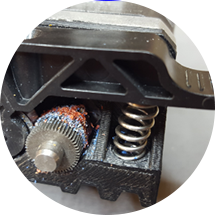 A brush constantly clears the drive roller of plastic shavings, keeping the teeth sharp to drive filament consistently. 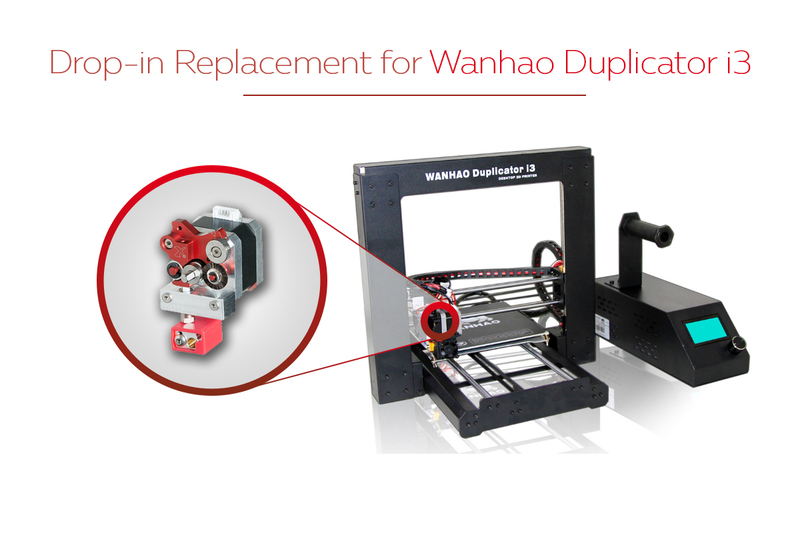 Swappable higher temperature hotend with durable silicone insulation allows printing even more exotic materials. 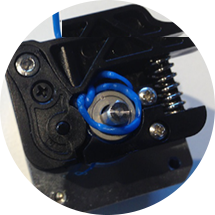 The Flexion Extruder is the ultimate extruder upgrade for your desktop 3D printer. 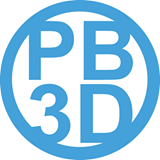 The consumer 3D printing industry has seen huge cost reductions in filament-style printers over the past decade. But the performance of these machines has plateaued. This is partly because improvements in the extrusion deposition system have not kept up with other aspects of printer performance. 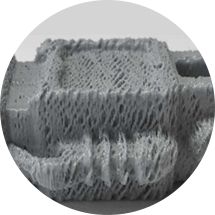 The Flexion Extruder provides many new features to address this problem. It is a highly-engineered filament extruder. 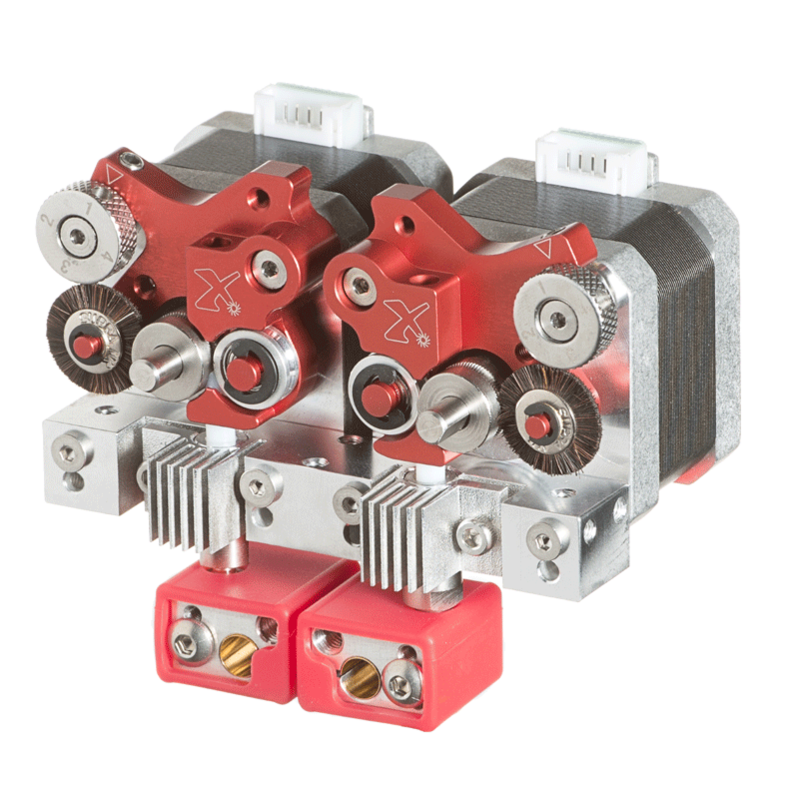 If you’re serious about taking your 3D printer to the next level, the Flexion Extruder is a no-brainer. If you want that ultimate flexible filament printing experience, then I can totally recommend the Flexion Extruder. It is high quality and well built, and works amazingly well even for the softest filaments. This is the most precise, effective, and absolutely gorgeous upgrade I have done to a printer so far. 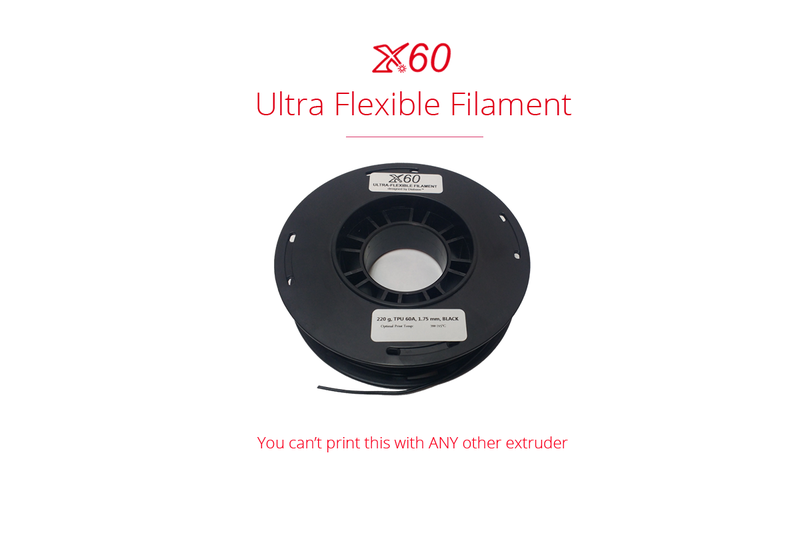 Developed by the inventor of Ninjaflex, the market’s leading flexible filament. Why would I choose to upgrade? Extruding elastomers is like pushing rope. If there’s anywhere besides the barrel for the filament to go, it will. ABS requires a different degree of compression than Ninjaflex. The drive mechanism needs to be adjustable for each filament type. 23 hours into your 24-hour ABS print and you start underextruding. Usually this is due to ground filament filling the teeth of your drive roller. Looking for a product? Want to say hi? We’re here to guide you with your new purchase, or talk about printing.